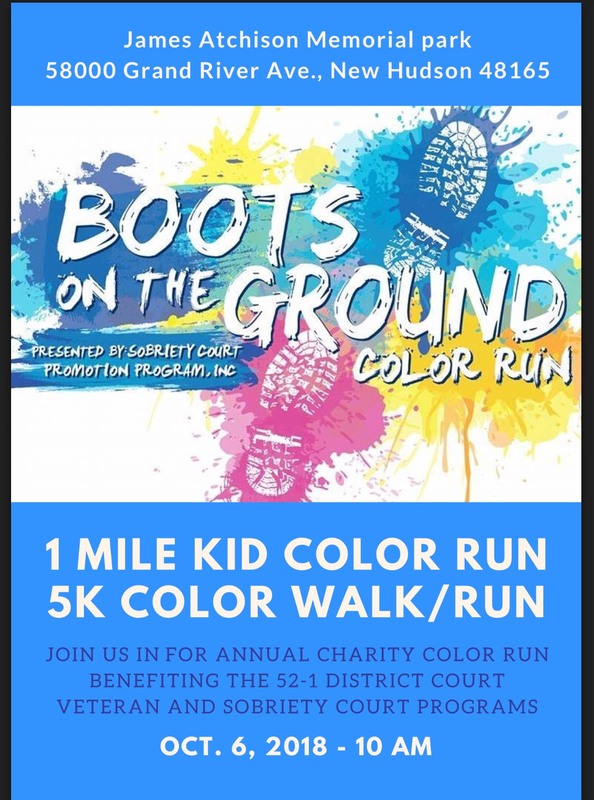 The Boots on the Ground Color Run & Motorcycle Ride is an annual fund raising event for the 52-1 District Court Specialty Courts Program benefiting veterans and others in the legal system dealing with substance use disorder. On site registration begins at 9 am the day of the event. Sobriety Court Promotion Program, Inc.